Hey there everyone, this is your weekly fishing report for Devils Lake, North Dakota. We have recently been greeted with unseasonably warm weather. The water temps don’t know which way to go currently. In the morning you are seeing low sixties for temps and by midday it’s up to mid seventies. The hurricane that was affecting the South East part of the country also has our weather in a tailspin. We rarely see temperatures in the mid nineties in mid September. But it’s here and it beats heck out of shoveling snow! 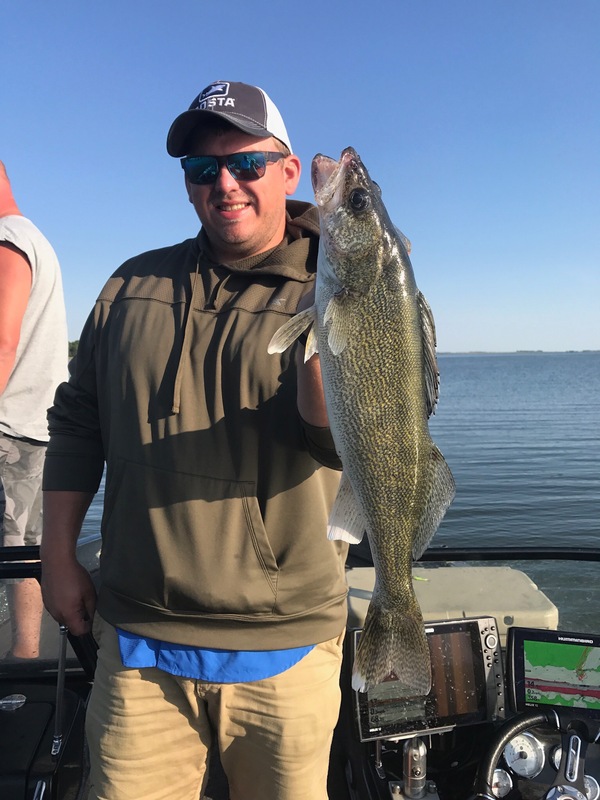 I think the best adjective to describe the fishing this past week on Devils Lake would be “spotty”. One day you would get them pretty good and the next day you really had to work for them. Some days they were on some traditional spots and the next they were no where close to those areas. We caught fish from 4 feet of water to 40 feet of water. We caught some on bobbers with leeches, crawlers and even minnows. We caught them pulling a spinner rig with Berkley Gulp on a bottom bouncer. We caught them trolling lead core on old shorelines and we even caught a bunch of fish on jigging raps. There wasn’t one technique that shined over the other. What made the decision for us in technique was the wind and what time of day it was. Of course customer preference played a part in it as well. Some like to jig some prefer to troll. We have some of the best fishing yet to come this season. Some really big fish will definitely be in our boats along with some great fish for a fish fry. 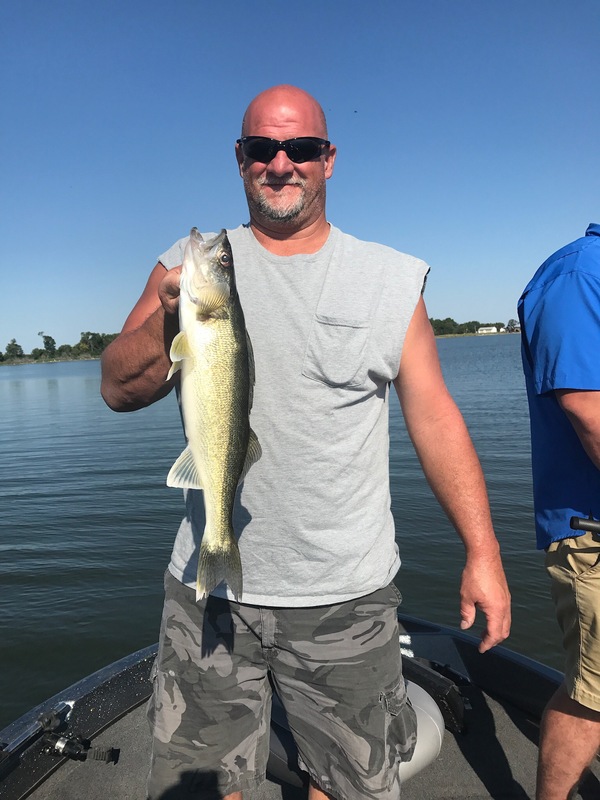 I encourage you to get a group of friends together get a hold of me and we can make a memory together walleye fishing in North Dakota. I do have some availability this fall yet and have already began booking trips for next year. Remember a guided fishing trip is a awesome Christmas present! Packages are available for Devils Lake and Sakakawea.